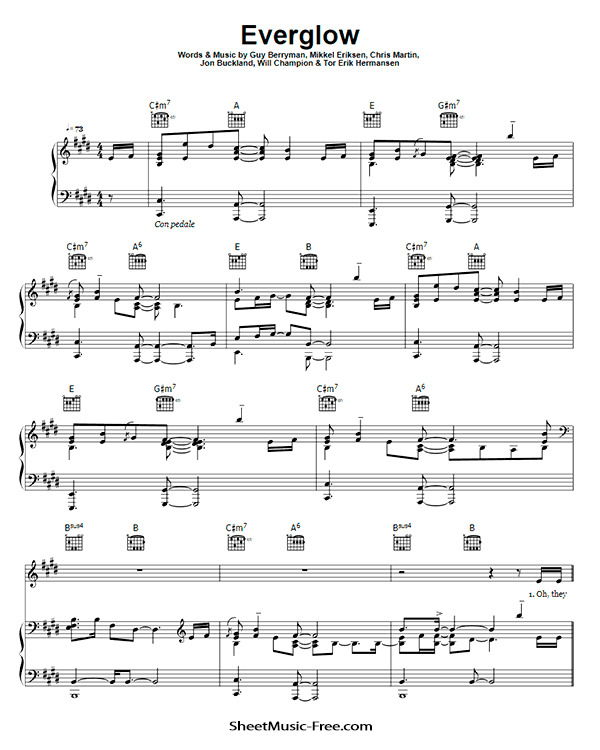 “Everglow Sheet Music” by Coldplay, “ Everglow Sheet Music” for Piano, Original key: E Major, number of pages sheet music PDF: 5, Video and Lyrics song Everglow Sheet Music. “Everglow’” is a song by British rock band Coldplay. It is the fourth track from their seventh studio album, A Head Full of Dreams.